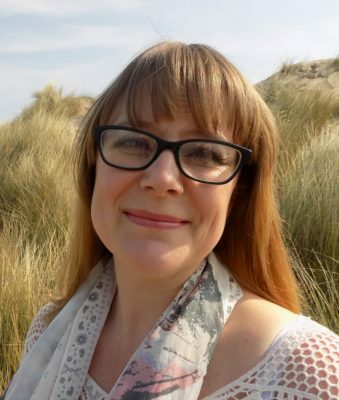 Novelist Emma Cooper, from Telford, has been shortlisted for The Goldsboro Books Contemporary Romantic Novel Award in the Romantic Novelists’ Association’s 2019 Romantic Novel Awards. Bestselling historical novelist Alison Weir will present the Awards for 2019 during a ceremony in the Gladstone Library, One Whitehall Place, London SW1 on 4th March. The RNA’s awards are the only national literary prizes that recognise excellence in the genre of romantic fiction. In 2019 they comprise the Goldsboro Books Contemporary Romantic Novel Award, the Goldsboro Books Historical Romantic Novel Award, the Books and the City Romantic Comedy Novel Award, the Sapere Books Popular Romantic Fiction Award, the Fantasy Romantic Novel Award, the Shorter Romantic Novel Award and the Katie Fforde Debut Romantic Novel Award. The RNA will also present an Outstanding Achievement Award to a writer who has made an extraordinary contribution to the field of romantic fiction. Emma Cooper is one of 6 finalists in The Goldsboro Books Contemporary Romantic Novel category with her novel The Songs of Us, published by Headline Review. And if they hadn’t seen the missing person report that day, they might never have taken the trip to Cornwall. And, in the last place they expected, discovered what it really means to be ‘Us’. Emma Cooper’s journey from working class mother of four to full-time writer was rapid. After the slow process of writing her debut novel in snatched moments over a year, by contrast, she found the path to publication a surreal whirlwind. She was offered two five-figure advances from Italy and Germany on the same day that her card was declined in Aldi. The book was then part of a six-way auction in France, as her exhaust fell off her car, and rights to the book were sold in four other countries while her husband tied the exhaust back on with a piece of string.